Accessibility experts living with disabilities. We help you understand how real people living with disabilities access websites/documents/software/mobile aps and more by working with us. At WeCo, we believe that people living with disabilities become experts at accessibility simply by navigating their day-to-day lives. 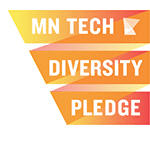 Our approach combines both a technical and UX (user-experience) and provides a level of service and information to our clients that is unmatched in our industry. 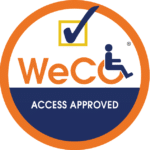 WeCo’s Accessibility Testers and Specialists, as well as our Staff Team careers, translate into an exciting opportunity for people who may have been overlooked by traditional work environments. We consider this talented group of people our best-kept trade secret.